One of them is infrastructure that has been connected to all areas of Jakarta and its surroundings. 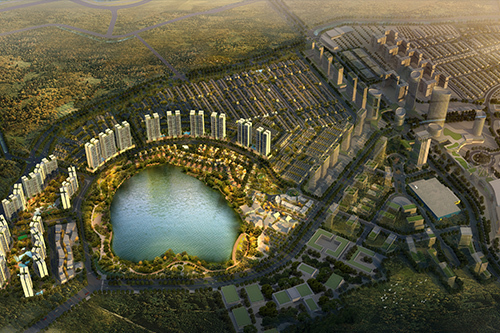 In addition, the size of the area is quite large for sustainable development, within the city of Jakarta. “Through this collaboration, we hope to have a partner who is expert and knows well the ins and outs of development in the East Jakarta area,” Wibowo said in a written statement on Wednesday (12/10/2016). “Modernland Realty has the expertise and understanding, both in the market and development in the surrounding area. We hope to contribute by building projects that have international standard benchmarks.” William Honoris, who also serves as President Director of PT Modernland Realty Tbk added, Modernland Realty continues to look for leading partners with a good track record, to reach a broader consumer market and increase the penetration of its products. “Astra Land Indonesia is a combination of Astra International, then Hongkong Land is a leading property developer in Asia, and Modernland Realty believes that this joint venture will produce extraordinary synergy,” William said. Modernland Realty hopes that the many government programs that encourage the acceleration of macroeconomic recovery will make significant growth in the property world. “We hope that the launch of the first cluster of this cooperation project will coincide with better macro conditions, and the property market that has experienced an increase,” William added. For your information, PT Astra Land Indonesia is a joint venture between PT Astra International Tbk and Hongkong Land Group Limited. Then PT Mitra Sindo Makmur is a subsidiary of PT Modernland Realty Tbk.